Sweeeet! 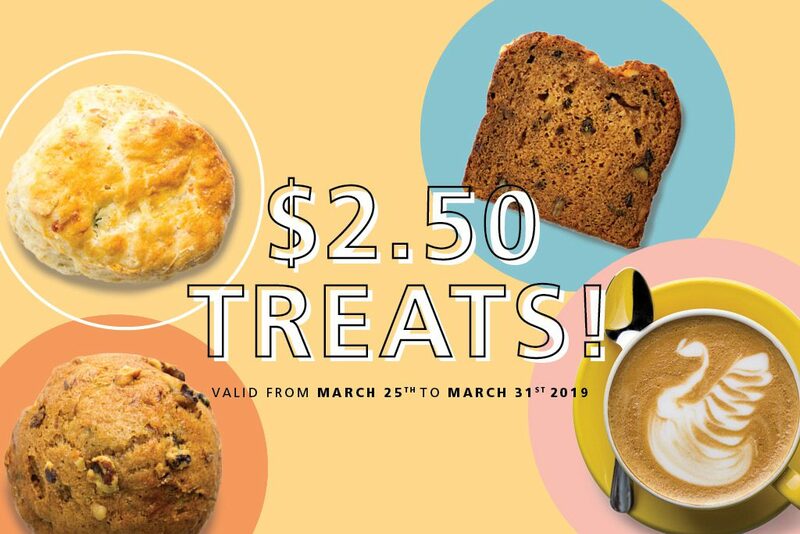 Until March 31st, all cookies, muffins, scones and loaves are only $2.50 with the purchase of your favourite handcrafted beverage. Limited time offer, go grab some treats today! T & C apply. Buy any handcrafted beverage and get a cookie, muffin, scone, or loaf for $2.50 (+tax) while supplies last. Offer excludes drip coffee and bottled beverages. Products may vary across stores. Cannot be combined with other offers. Offer ends March 31, 2019.